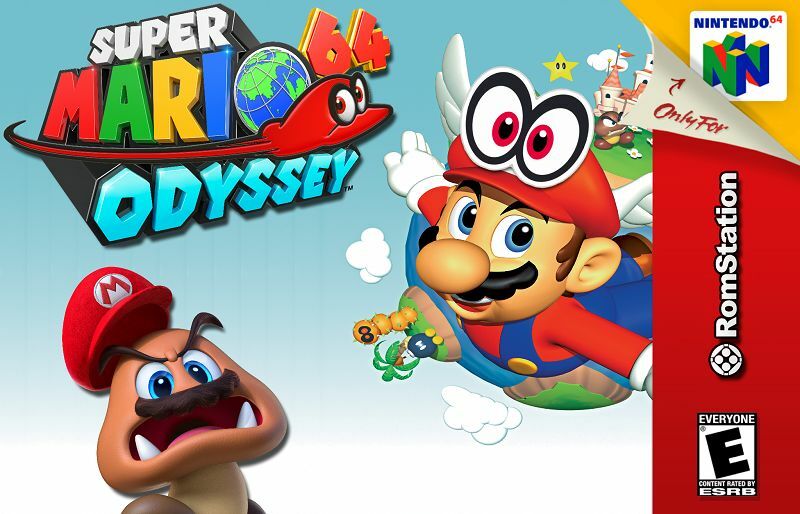 Super Mario 64 Odyssey is a hack developped by Kaze Emanuar which was released in 2017. Like the Nintendo Switch game, Super Mario Odyssey, here, you play as Mario who has the ability to turn into enemies and objects with is cap friend Cappy. But, the game takes place in the wonderful world of Super Mario 64. Mario is a video game character who has become Nintendo's mascot, easily recognizable by his mustache, his overalls, his white gloves and his red cap marked with an M in a white circle. Born from the imagination of game designer Shigeru Miyamoto, he is Italian-American; he appeared for the first time in 1981, in the game Donkey Kong, under the name of Jumpman, but since 1985 it is the hit series of Super Mario that has made him a global phenomenon and one of the emblematic characters of the video game. Since then, Mario has accompanied all the consoles of Nintendo. The games of the Super Mario series have played an important role in the evolution of the platform game, which they regularly renew the codes. Several episodes have marked the video game, including the first game, Super Mario Bros. (NES, 1985), which for over twenty-three years has been the best-selling game, with more than 40 million cartridges sold (dethroned by Wii Sports in 2008), or its first appearance in 3D, Super Mario 64 (Nintendo 64 , 1996). Over the years, Mario's character has appeared in other types of games, such as the racing game (Mario Kart), the fighting game (Super Smash Bros.), or the role play (Super Mario RPG).